Wedgwood Foxwood Tales Plate "Foxwood Regatta". Fine Bone China Plate by Brian Paterson. In mint condition and boxed. Beautiful poignant painted plate by wonderful American artist Donald Zolan. from the ‘moments of wonder’ collection Summer Garden is plate no A4077 Excellent condition . COTTAGE & GARDEN PLATE - COUNTRY RETREAT - FRANKLIN MINT. Condition is Used. Sold in original box with certificate of authenticity and receipt for payment. I am selling my plate which I purchased from Franklin Mint in June 1995. The plate has been well cared for and stored in the loft for the last few years. Due to housemove having a bit of a clear out. Please check out my other listings. All items are sent 2nd class signed for. Thanks for looking. THE RUINS OF BOLTON ABBEY. Robert Brewer with a view of the ruins of Bolton Abbey. "The design is taken from plate dating from 1810-20. With certificate plate no. 1966A, can be hung (see photo). BRADEX CHRISTMAS plate new and boxed. Bradex 22-R27-44. A porcelain plate decorated with a motive taken from an historical Advent Calendar. New listingDanbury Mint Chelsea Football Club Collector Plate "The FA Cup Winners 2009"
Here we have a Danbury Mint Chelsea Football Club collector plate entitled "The FA Cup Winners 2009". Beautiful poignant painted plate by wonderful American artist Donald Zolan. from the ‘childhood discoveries’ series Enchanted Forest is 8771B in this incredible detailed miniature collection of plates Excellent condition . SANDRINGHAM FINE ENGLISH BONE CHINA PLATE . Condition is Used. Dispatched with Hermes Tracked. Beautiful poignant painted plate by wonderful American artist Donald Zolan. from the ‘Adventures of Childhood’ collection Snowy Adventurw is plate no 2626D made during 44 day firing in 1990 Excellent condition . SANDRINGHAM FINE ENGLISH BONE CHINA OLD MASTER COLLECTORS PLATE. Condition is Used. Dispatched with Hermes Tracked. Black, Ivory, Wedgwood Blue & Green : Clip Display Stand x 2 : 5-26cm, 2"- 10"
Wedgwood Foxwood Tales Plate "Picnic at Foxwood". Fine Bone China Plate by Brian Paterson. In mint condition and boxed. 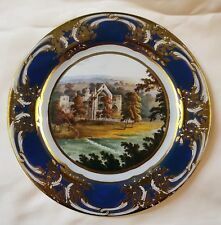 Royal Doulton Imperial Palace Collectors Plate. Condition is Used although in great condition. No chips or damage as far as I can see. Number 10,499 out of 15,000. Dispatched with Royal Mail 1st Class. Beautiful poignant painted plate by wonderful American artist Donald Zolan. from the ‘moments of wonder’ collection colours of spring is no. A3280 Excellent condition . Royal Worcester Cats and Kittens collectors plates. White Persian 1990 and Tortoise shell 1991. Good condition, no chips or cracks. Selling as a pair but will separate. Made in Russia. Based on The Legend of the Firebird fairy tale/ painting. Leaflet with full details including story - a lovely read. Bradex Number - 60-L55-1.1. On back has 1990 and Tianex. PUPPIES PLATE - DUCK HUNTERS - FRANKLIN MINT. Condition is Used. Sold in original box with certificate of authenticity and receipt for payment. I am selling my plate which I purchased from Franklin Mint in February 1995. The plate has been well cared for and stored in the loft for the last few years. Due to housemove having a bit of a clear out. Please check out my other listings. All items are sent 2nd class signed for. Thanks for looking. FAKE Shelley Not for the collector. Mabel Lucie Attwell plates entitled "So much to do but I think of you!". It is impossible to be an expert in all realms of collecting, and I am honestly representing the item to the best of my knowledge and ability. Franklin Mint Just Married by Patricia Brooks limited edition. Size is 8 inches diameter. 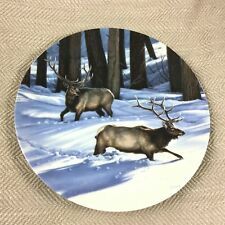 Decorative collectors plate by the Danbury Mint This Mary Baxter St Clair Plate is limited edition complete with certificate of authenticity Excellent condition . Decorative collectors plate by the Danbury Mint This Mary Baxter St Clair Plate is limited edition complete with certificate of authenticity Springtime Serenade from the enchanted garden collection Excellent condition . Decorative collectors plate by the Danbury Mint Flower child by Mary Baxter St Clair Plate is limited edition from the Enchanted Garden collection. Excellent condition . Fantastic Manchester United Centenery Plate. Plate design is by Rob Perry. Decorative collectors plate by the Danbury Mint Balancing Act by Mary Baxter St Clair Plate is limited edition from The enchanted garden collection by Danbury Mint Excellent condition . Beautiful poignant painted plate by wonderful American artist Donald Zolan. from the ‘Moments of wonder’ collection Excellent condition . DONALD ZOLAN DECORATIVE PLATE, AN EDITION LIMITED TO 75 FIRING DAYS, FROM THE COLLECTION ENTITLED MOMENTS OF WONDER, BORDER FINE ARTS, 1994 PEMBERTON & OAKES SANTA BARBARA CA, SUMMER GARDEN PLATE NUMBER A1519, COMES WITH A CERTIFICATE OF AUTHENTICITY, SOLD AS USED BUT ONLY EVER BEEN DISPLAYED IN A GLASS CABINET, NO DAMAGES IN PERFECT CONDITION, SHIP WITHIN THE UK ONLY, FROM NON SMOKING ENVIRONMENT. HAPPY BIDDING! THIS ITEM CAN BE COLLECTED IN PERSON TO SAVE ON ANY DAMAGE DURING TRANSIT. Decorative plates. Signed by E H Hobson. Condition is Used. Dispatched with Royal Mail 2nd Class. The back stamp is Garden Birds by Spode Six studies of garden birds No.2 Wren (Troglodytes parvulus) Spode Fine Bone China England Y8422. This one is No.2 Wren. DONALD ZOLAN DECORATIVE PLATE 'RODEO GIRL' FROM THE SPECIAL MOMENTS COLLECTION, MADE DURING A 19 DAY FIRIN SCHEDULE FOR THE YEAR 1990, COMES WITH CERTIFICATE OF AUTHENTICITY AND ZOLANS OWN STORY ABOUT RODEO GIRL,SOLD AS USED BUT ONLY EVER DISPLAYED IN GLASS CABINET, EXCELLENT CONDITION, SHIP WITHIN THE UK ONLY, FROM NON SMOKING ENVIRONMENT. HAPPY BIDDING! PLEASE NOTE THIS ITEM CAN BE COLLECTED IN PERSON TO SAVE ON ANY DAMAGE DURING TRANSIT. NSPCC Christmas Plate 1988 - A Christmas Wish Great condition with wall mount. Royal Doulton Teddy Bear Winter Wonderland Plate. Condition is New. Dispatched with Royal Mail 2nd Class. Die Dicke Marie Ancient Giants Tirschenreuth Collector Plate. Condition is Used. Dispatched with Royal Mail Signed For® 2nd Class. Very nice plate depicting Madonna and Child 1979 would make a nice new baby gift. This one is No.5 Mistle Thrush. The back stamp is Garden Birds by Spode Six studies of garden birds No.5 Mistle Thrush (Turdus viscivorus) Spode Fine Bone China England Y8425. Edwardian fine bone china Village Life Harvest. Condition is Used. Dispatched with Hermes Tracked. H is for Captain Hook DISNEY'S ALPHABET MINIATURE PLATE Mini Charming!